As of late this year we are excited to announce that we are working with Walmart Stores USA and administering their quarterly sweepstakes. The current sweepstakes running started in November and runs till January 31, 2019. 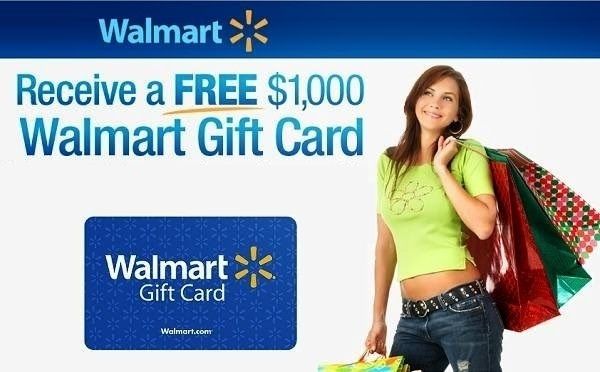 Each quarterly sweepstakes awards five Grand Prize winners who each $1,000 in Walmart Gift Cards and 750 First Prize winners who each a $100 Walmart Gift Card. The total prize pool for each quarter is $80,000! During each Sweepstakes Period entrants who make a purchase at any Walmart store will receive a survey invitation on their cash register receipt in which they may complete the online Customer Satisfaction Survey and entry form to receive one entry into the Sweepstakes. Each entrant must log onto www.survey.walmart.com within one week from the cash register receipt date and enter the unique code found on their cash register receipt. Once that is done they then complete the survey and they then may be prompted to also complete the entry form to receive one entry into the Sweepstakes. Also those that make a purchase online at Walmart.com will also receive a survey invite via email and go through the same process to complete the survey and entry form to receive a entry into the Sweepstakes. There are also two ways to enter without making a purchase. One is online by completing an entry form that does not require having to answer the survey. The other method is by mailing in a post card with the entrants contact information to a PO Box address that we supply that is listed in the official rules. Regardless of the entry method used to enter the Sweepstakes, there is a limit of 78 entries per Entrant for the entire Sweepstakes Period. At the end of each quarterly Sweepstakes Period we receive a list from Walmart of all the online entries and combine then with the mail-in entries that we receive to do the drawings. The five grand prize winners of the $1,000 Walmart gift cards each will be contacted and sent forms that they need to fill out and return to us since there are tax implications. The Federal Government does require that any prize $600 or more in value is taxable and that we need to send each winner a 1099 form in the amount of the prize that they must file with their taxes. The 750 First Prize winners will each receive their $100 gift card in the mail sent to the address that they included on their entry form or mail-in entry. We are just finishing up awarding all the prizes for the Walmart Quarter 3, August – October sweepstakes and have many happy winners who will be able to purchase Christmas presents at Walmart with their gift cards. We are very much looking forward to working with the Walmart team in the next year and hopefully beyond that.